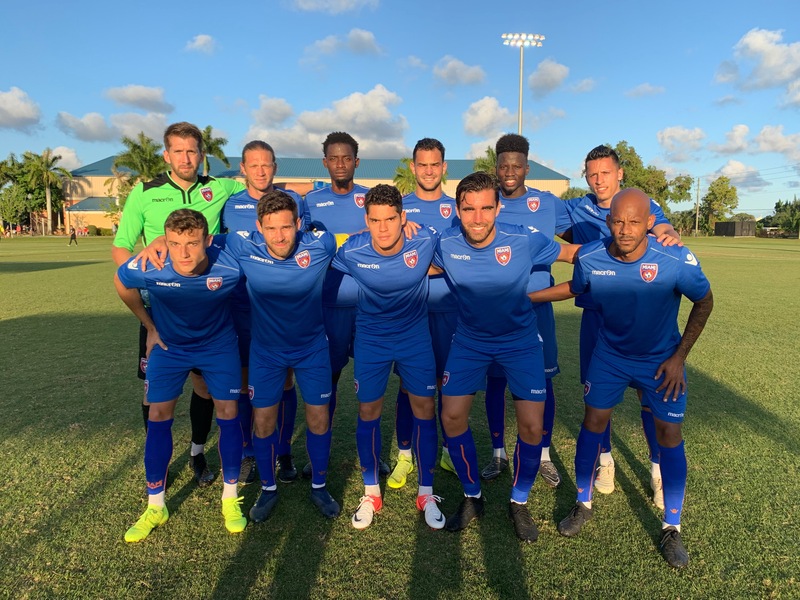 MIAMI (April 13, 2019) – The Miami FC hosted FC Miami City, Saturday night in the final preseason warm up before starting the 2019 camping in earnest next weekend. The Orange and Blue came out firing and would eventually walk away with 8-0 win. The scoring kicked off just two minutes into the match. Tomas Granitto curled in a free kick that was parried away by the keeper. Hector Morales followed the play and eventually picked up the rebound and slotted home the goal. Eight minutes later, captain Dylan Mares chipped the ball over the top of the defense to Ariel Martínez who finessed the great pass in to the back of the net. FC Miami City would settle into the match after the second goal, but the Miami FC would score again in the 40th minute. Martínez worked himself into a dangerous position in the FC Miami City box, hitting a strong cross that was eventually tapped in by Morales, securing his brace. Goal number four would come just four minutes later. Lance Rozeboom slipped a perfectly weighted through ball to Mohamed Thiaw down the right flank. Thiaw then took one touch and fired home his shot from a tough angle. Thiaw would waste not time earning his brace, scoring a second goal in the 45th minute. Thiaw received the ball at the right corner of the FC Miami City box and hit a fantastic shot that curled into the upper 90. The scoring would continue with Mares getting on the scoresheet in the 50th minute. Thiaw once again muscled his way into an advantageous position in the box, seeing his shot find the post. Mares pounced on the loose ball a buried the opportunity to push the score to 6-0. 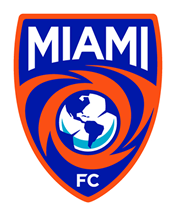 After the 6th goal, the Miami FC would make wholesale changes to the line up did not see a drop in sharpness or intensity. Minute 73 would see chaos in the FC Miami City box end with a Darío Suárez goal moving the score line to 7-0. The final goal of the night, and probably the best, came thanks to the thunderous right foot of Shawn Chin, three minutes later. The versatile defender picked up the ball 15 yards from the top of the box and uncorked a vicious shot that blasted right through the FC Miami City keeper’s hands to seal the Orange and Blues 8-0 win. The Miami FC open the 2019 season with the Magic City Clásico against Miami United FC, Saturday, April 20th at 7 p.m. at Barry University. The Orange and Blue will be looking to avenge and US Open Cup loss to the local rival and begin its National Championship title defense. Tickets are available now at MiamiFC.com or if you call 844-MIAMIFC!